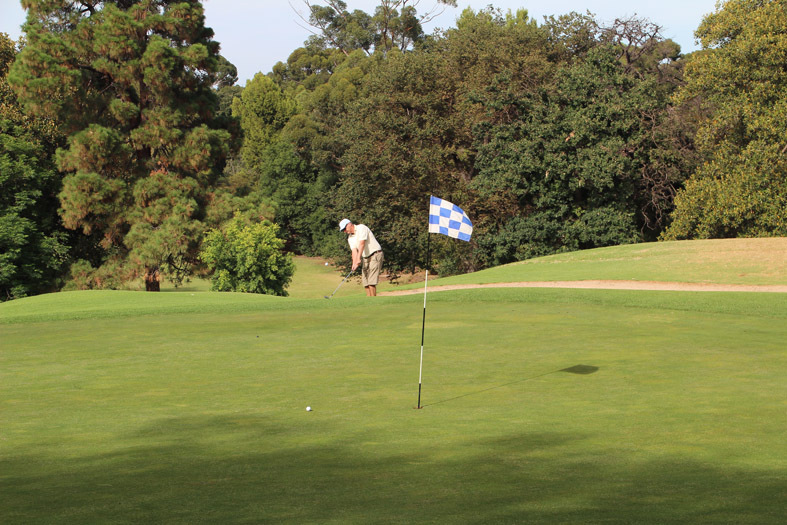 Adelaide has a diverse collection of golf courses. They wind along the coast, straddle the hills face and even overlook the heart of the city. 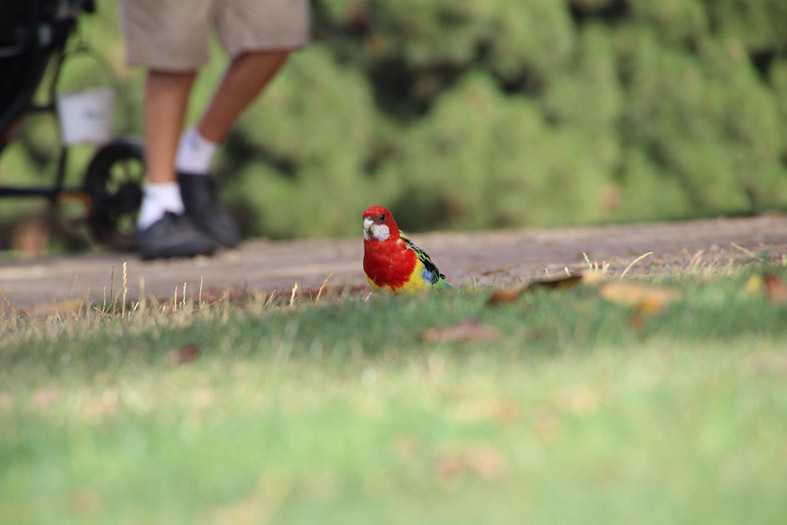 Their well-watered fairways, native bushes and towering trees provide an attractive habitat for a wide variety of wildlife ranging from kangaroos and possums to waterfowl and colourful parrots. This week’s story comes from one of the two inner city courses that stretch between the Torrens Lake and the fine old villas and tree-lined streets of North Adelaide. They are back to back public courses that are used by walkers, golfers and, of course, the occasional wildlife photographer. My morning walk started around eight and my quarry was the various groups of cockatoos that I had noticed feeding on the fairways earlier in the week. Although the birds are up and about just after dawn the light is not really conducive to capturing quality images in the early hours. 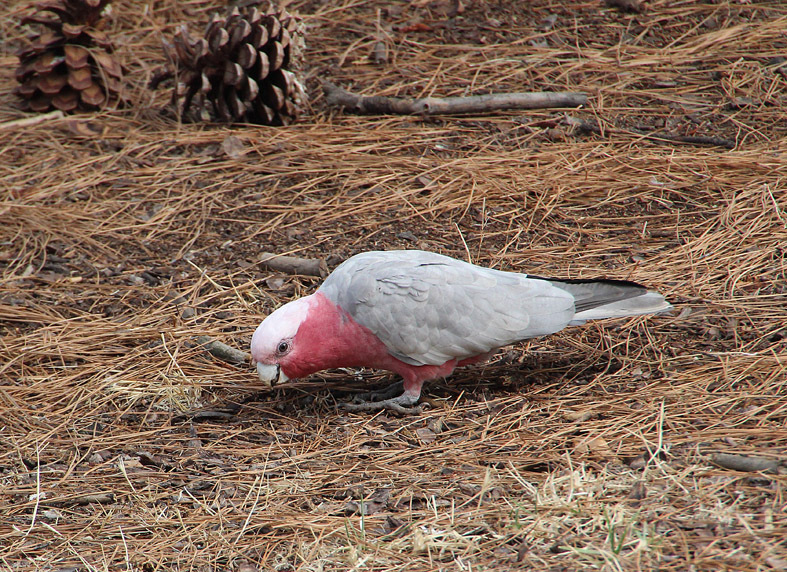 As I strolled past the clubhouse towards one of the greens near the end of the course I heard the unmistakeable chatter of galahs (rose-breasted cockatoos). A quick glance around the area and I discovered half a dozen birds in a nearby patch of rough using their powerful, curved beaks to dig out tubers and crack open fallen seeds. After a few minutes I left the cockies to their morning meal and moved across the course to a stand of tall, pale Eucalypts. As I scanned the canopy for movement several of the feeding birds flew onto a branch and started to groom each other. 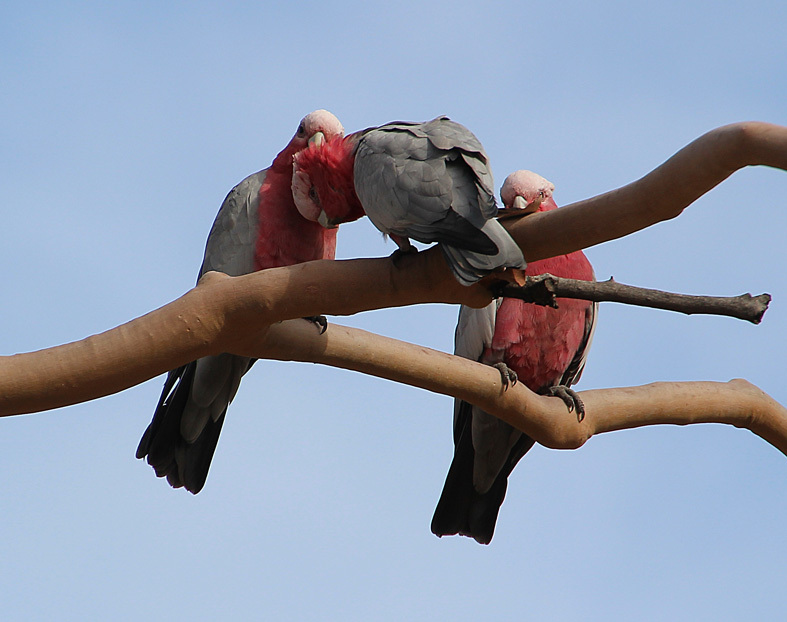 This was an unusual behaviour that I had not previously observed in galahs though I am sure these gregarious parrots interact socially in many ways. Perhaps they were a nesting pair and an older offspring. The grooming continued for a few minutes then escalated into a good natured session of sparring with beaks and wings that looked remarkably like a wrestling match. My final cockatoo encounter was with a small group of little corellas near the car parking area. 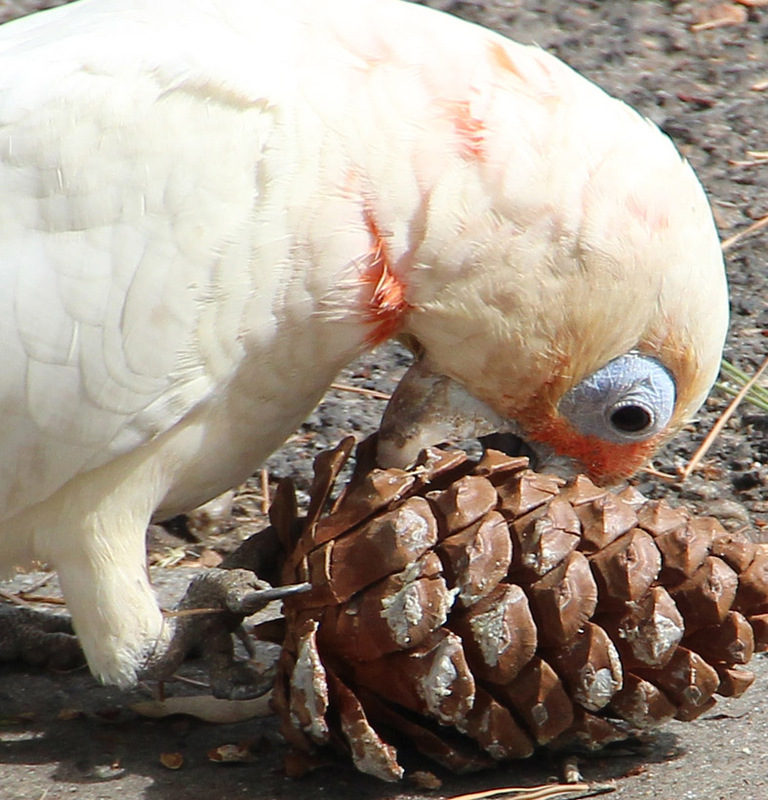 They were using their powerful beaks and claws to break up pine cones and extract the seeds. The birds seemed oblivious to me as they worked away at their hard won meal and I was able to sit and watch them for some time.